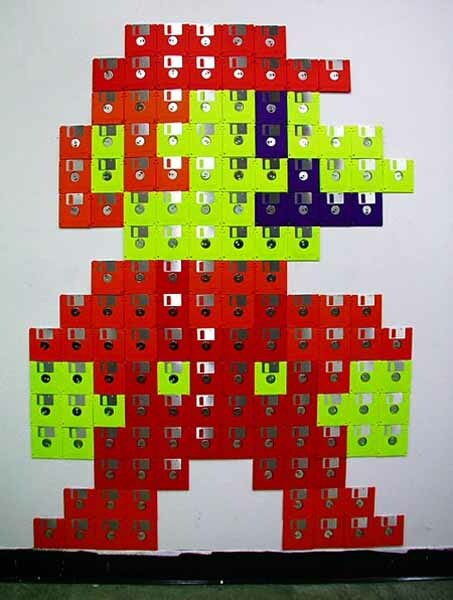 Recycling old floppy disks, used for computer storage, for beautiful art works, unique eco gifts and creative wall decorations is another green way of home decorating in eco style, showing your talents and interest in saving the environment. Old computer storage disks with portraits or landscape paintings look unusual and interesting, offering great craft projects for making eco gifts and wall decorations. Nick Gentry is a British artist from London. 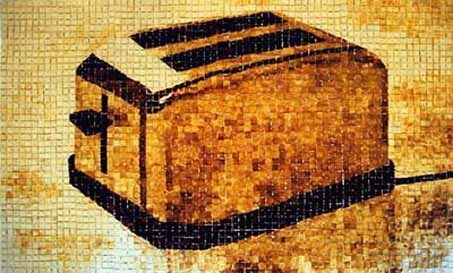 Much of his artistic output has been generated with the use of contributed artifacts and materials. He states that through this process contributor, artist and viewer come closer together. 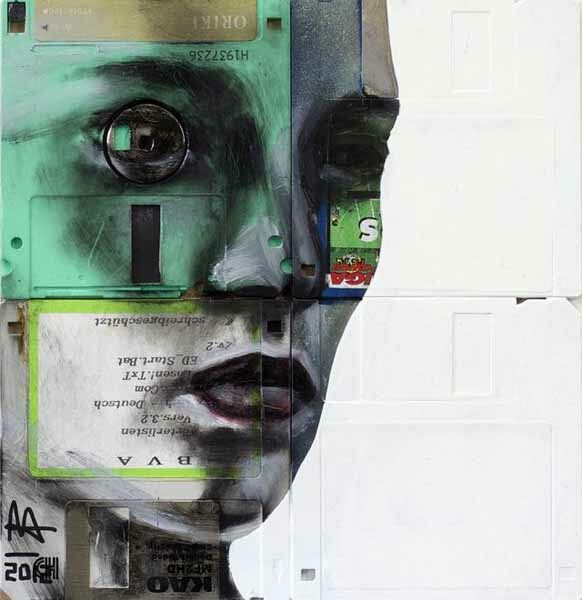 His artworks are influenced by the development of consumerism, technology and cyberculture in society, with a distinctive focus on obsolete media. 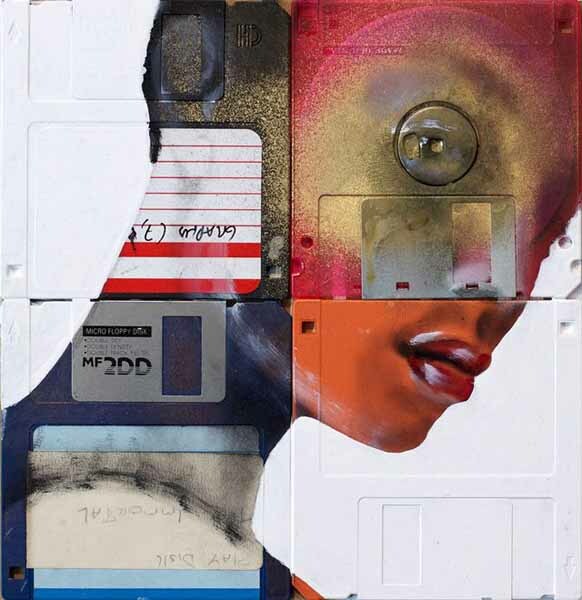 He is best known for his floppy disk paintings, placing an emphasis on the reuse and recycling of personal objects as a central theme. 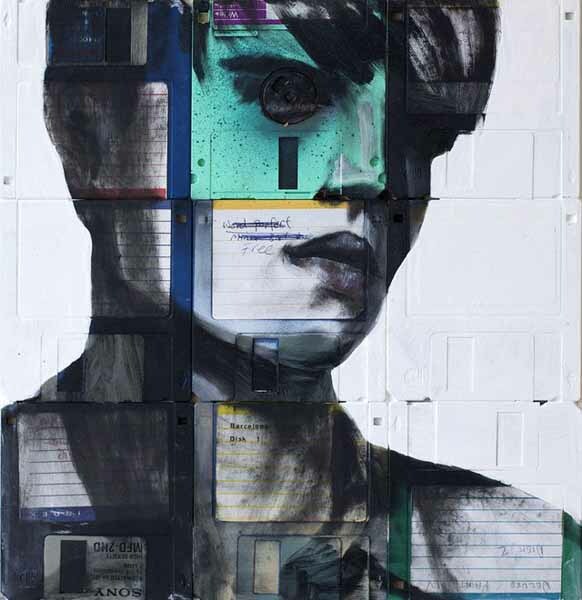 Old floppy disks are a good material that can be used as a canvas for paintings or wall mosaic tiles. Simple images on empty walls look gorgeous and easy to make with kids, creating beautiful, bright and cheerful wall decorations for kids rooms and kitchens, family rooms and home offices. Small and large artworks created with old floppy disks can attractively decorate any room in your house, celebrating the creativity and recycling ideas, and adding gorgeous accents in eco style and an artistic touch to your home decorating. 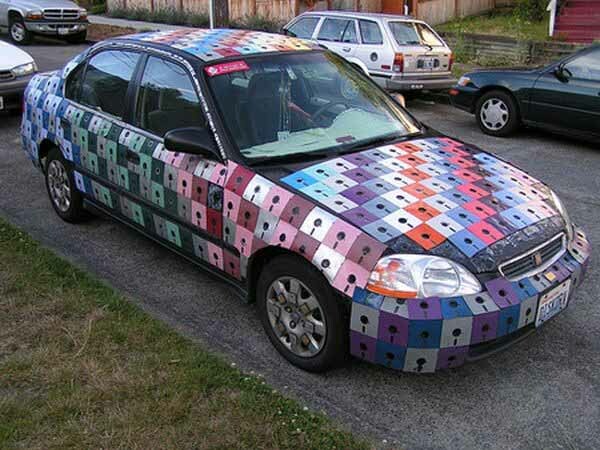 Old floppy disks can be used for furniture decoration and adding charming designs to your garden fence. 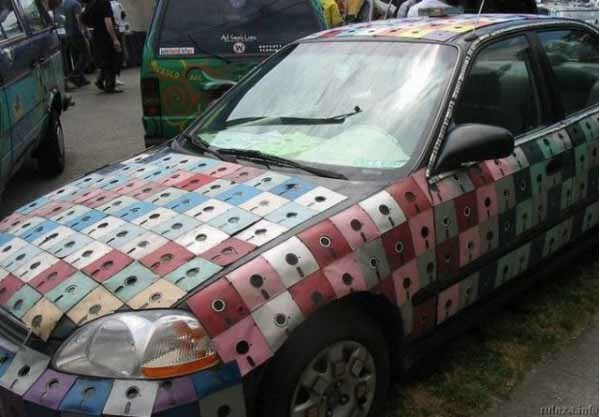 You can glue them to your car or garage door, recycling garbage bin and storage boxes, giving an artistic touch and character to your backyard and home decorating ideas.